The countdown to the largest cannabis business conference in the world kicks off now! 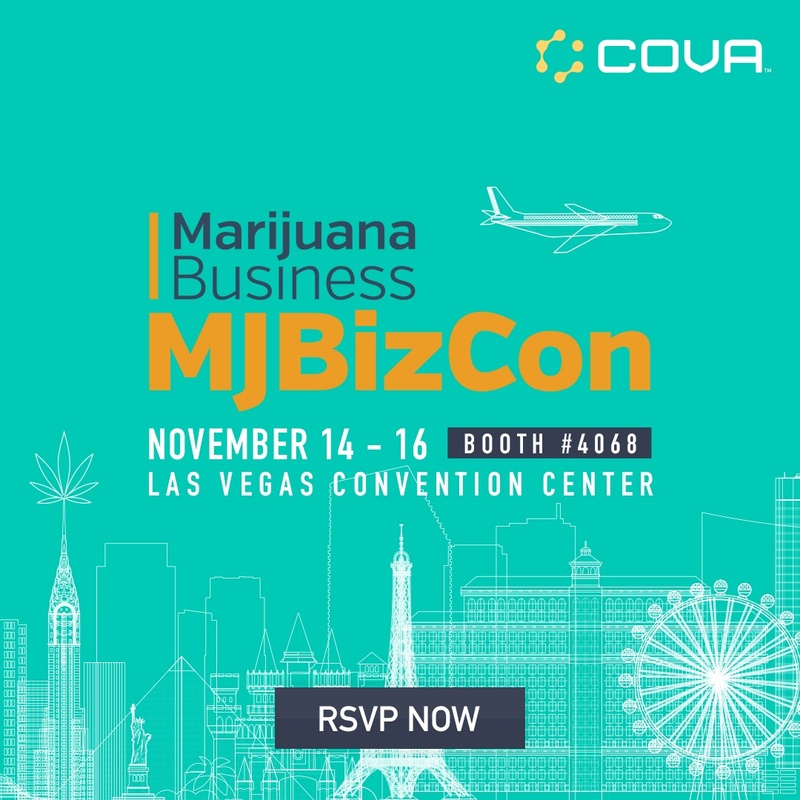 MJBizCon is the largest and most notable event in the industry and offers cannabis pros a one-of-a-kind opportunity to connect and network with peers from around the globe. The three-day trade show is jam-packed with seminars, workshops, and boasts an unparalleled expo floor, so plan ahead and don't miss a thing. How Cova POS can help you remain compliant. How Cova's cannabis Touchscreen Menu can give your customers the freedom to shop on their terms. How our NEW Express Checkout kiosk can improve retail store traffic. How Cova POS can help you manage operations, deliver superior customer experience, and grow a profitable business. Are you ready to show the cannabis industry you mean business? Don't delay, RSVP today.